Graveside services for Marilyn Ann Bishop, 84, Hollister, will be held Thursday, Jan. 24 at 2PM, Mincy Cemetery, Mincy, Mo. Rev. Jim Fullerton will officiate. Mrs. Bishop entered into rest on Jan. 17, 2019 at Cox Medical Center, Branson. Services are under the direction of Snapp-Bearden Funeral Home and Crematory, Branson. Marilyn was born April 4, 1934 in Chicago, Ill. to Andrew and Ruth (Luxen) Thompson. She had lived in the Tri-Lakes area for many years. Marilyn enjoyed horses and she was active in Western Pleasure and showed her horses AQHA shows. 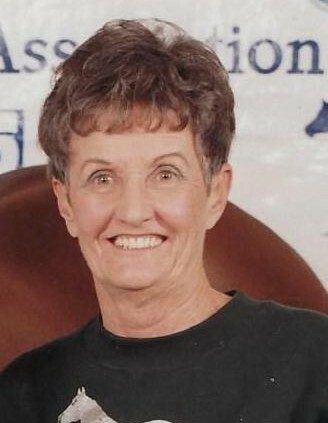 She was active with the PRCA rodeo’s where she was a Barrel racer and showed cutting horses. Marilyn was a sales representative for cookware. When she moved to Branson she worked for the Branson Daily News as a sales advertising presentative. Marilyn was a very outgoing personality and enjoyed helping people with promoting their businesses thru advertising even after she left the Branson Daily News. Marilyn was a pilot and worked with the Civil Air Patrol when called upon. She was preceded in death by her parents, her husband Lewis Bishop and a son Terry Filczer. Marilyn is survived by her daughter Sandra Yarnell and husband Sam of Hollister; step-children Frank Bishop, John Bishop, Terry Bishop, Glenn Bishop, Thomas Bishop, Laura Rios, four grandchildren and two great grandchildren. Friends may call Wed. January 23, 2019 from 3-4 PM at Snapp-Bearden Funeral Home and Crematory, Branson.